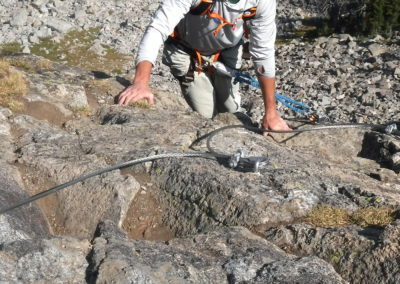 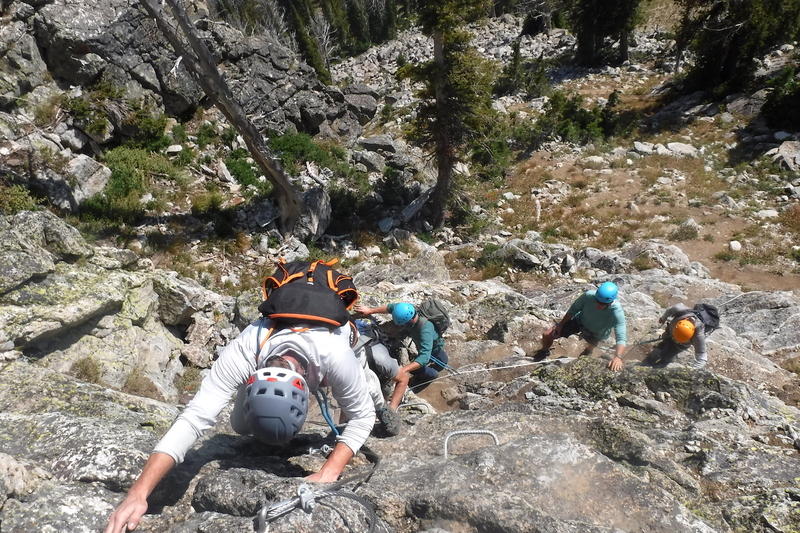 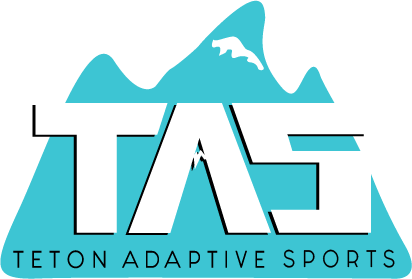 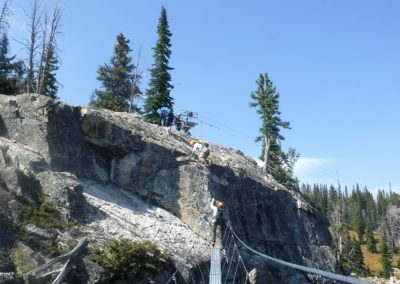 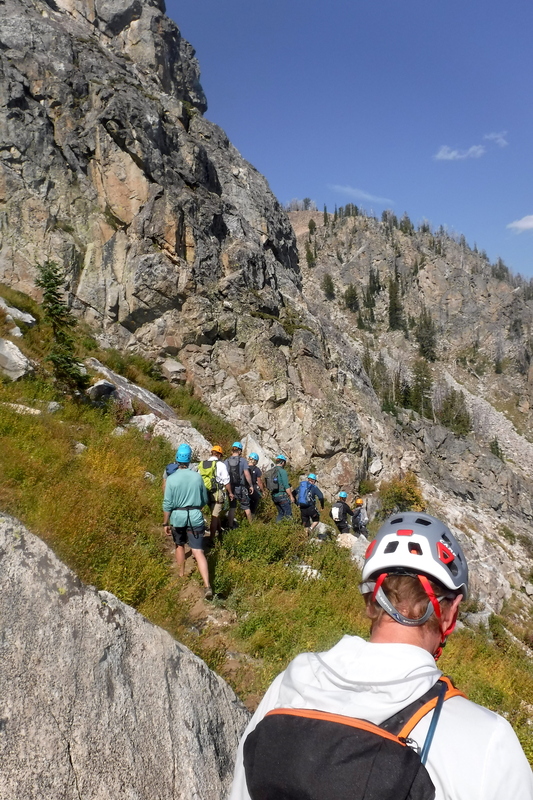 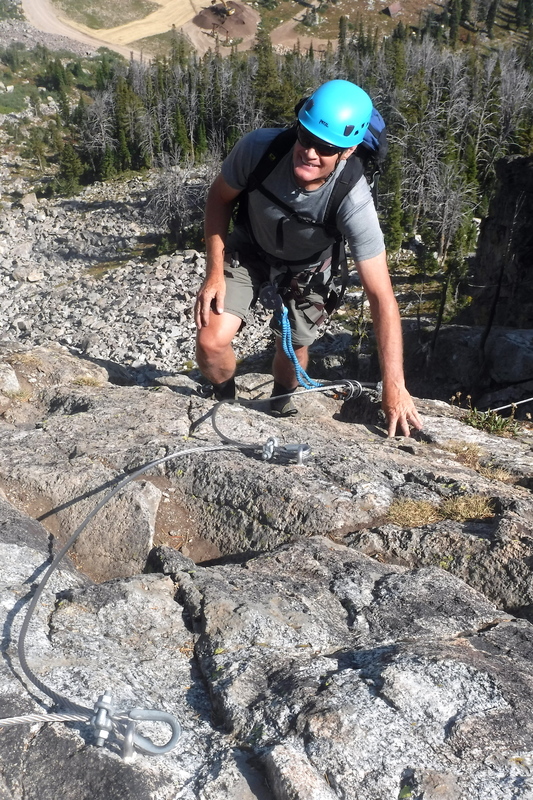 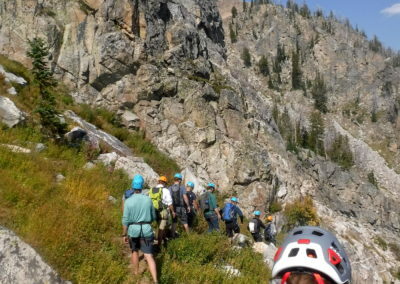 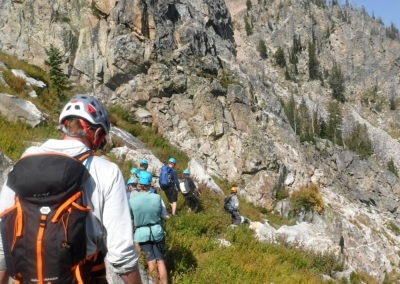 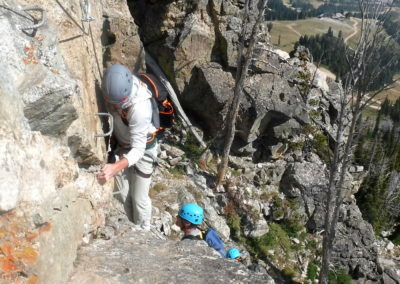 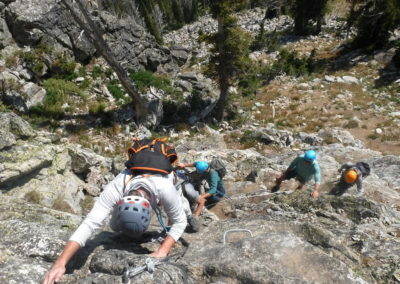 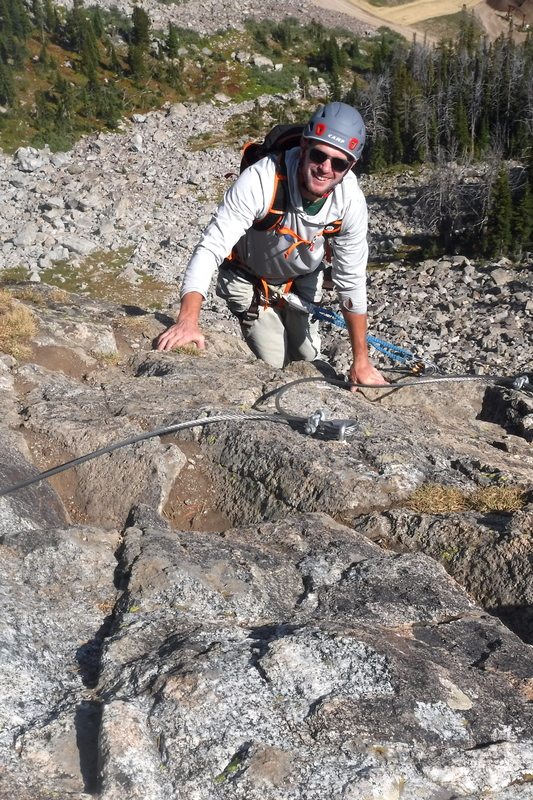 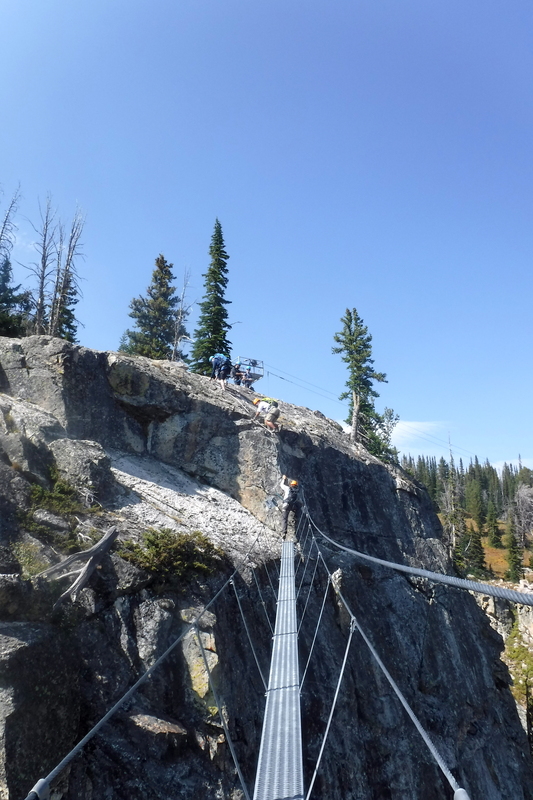 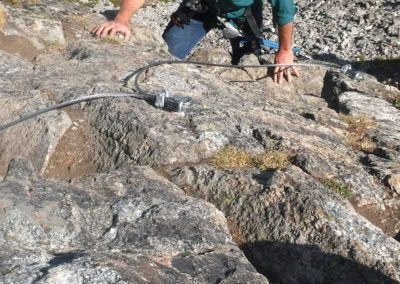 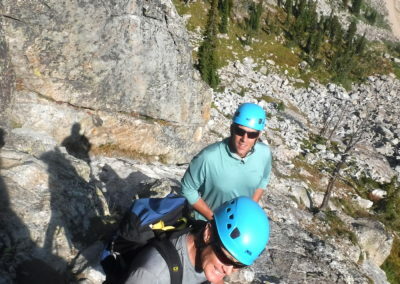 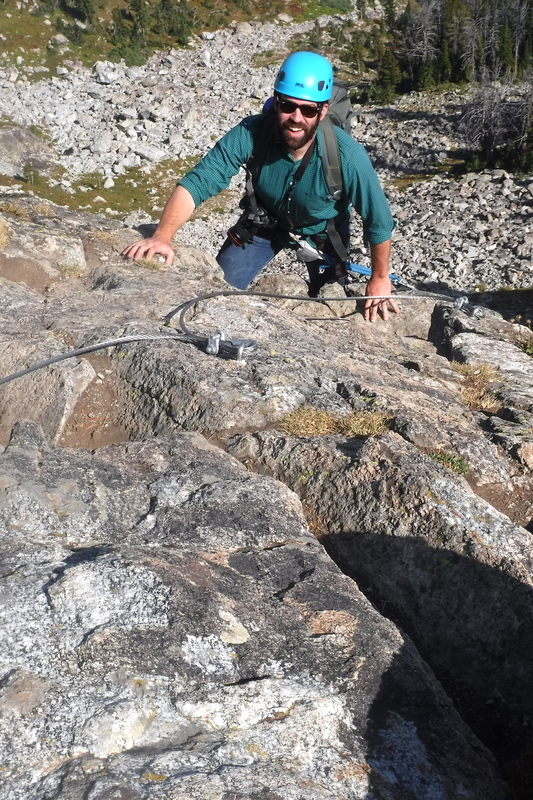 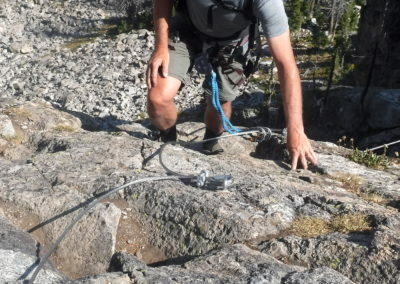 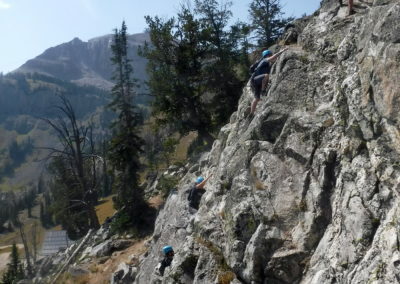 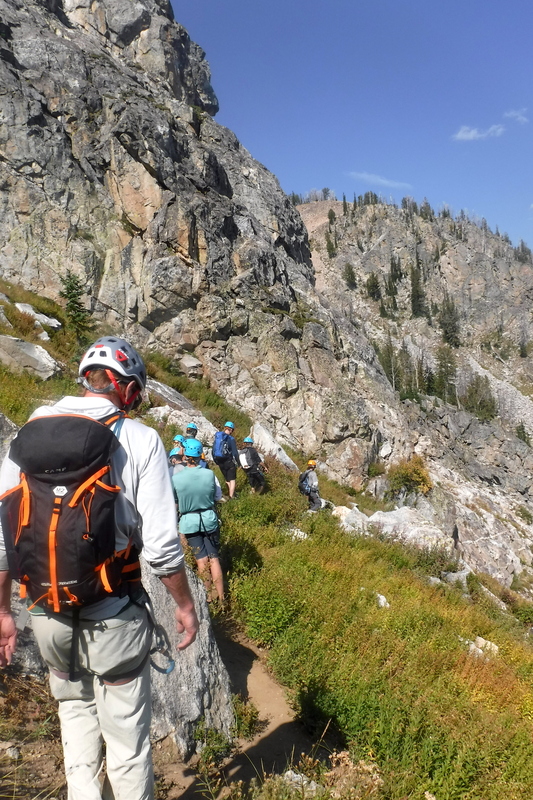 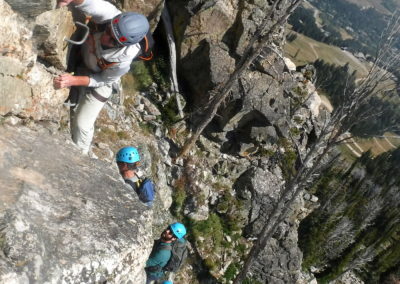 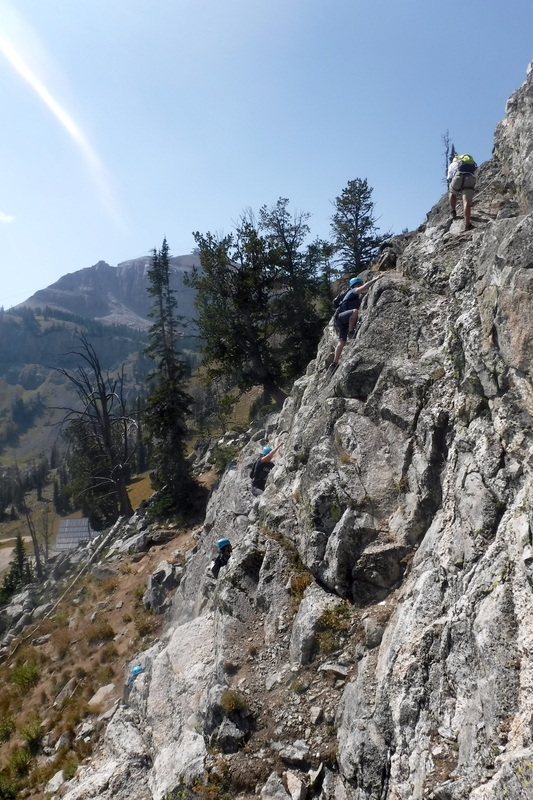 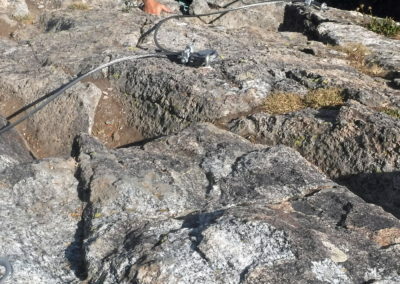 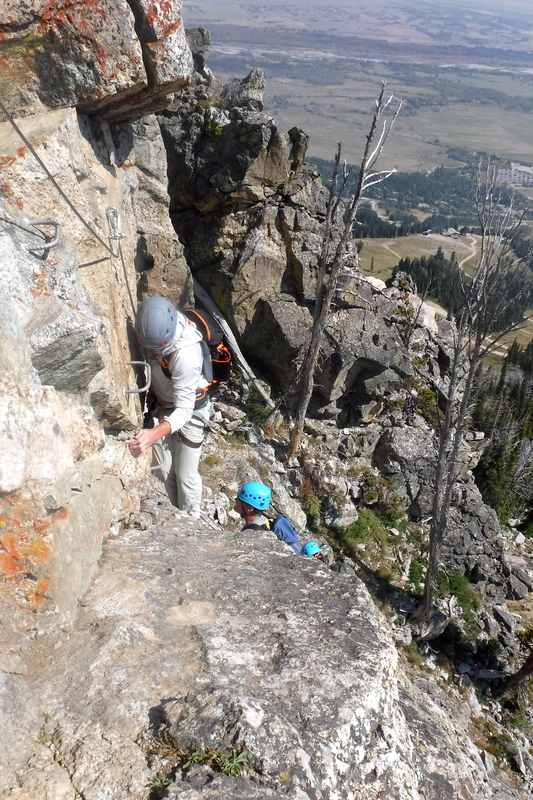 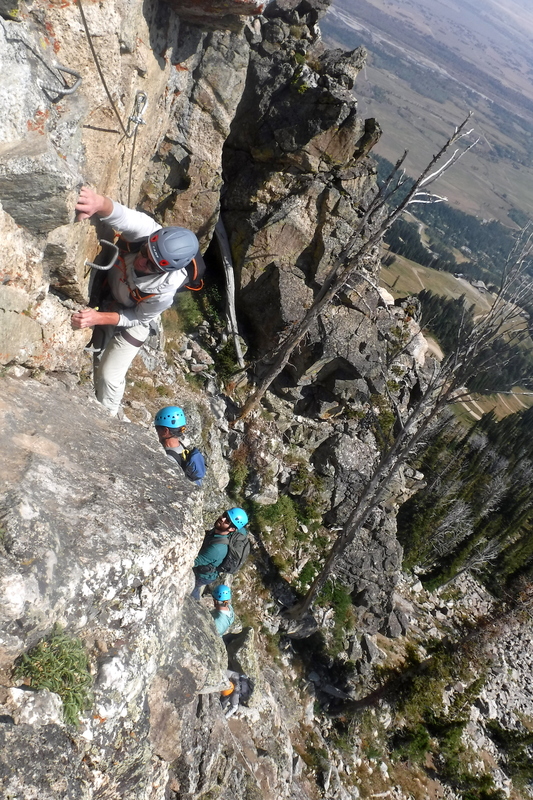 TAS teamed up with Jackson Hole Mountain Resort (JHMR) to celebrate US veterans with an afternoon via ferrata climbing outing on Tuesday, September 11, 2018. 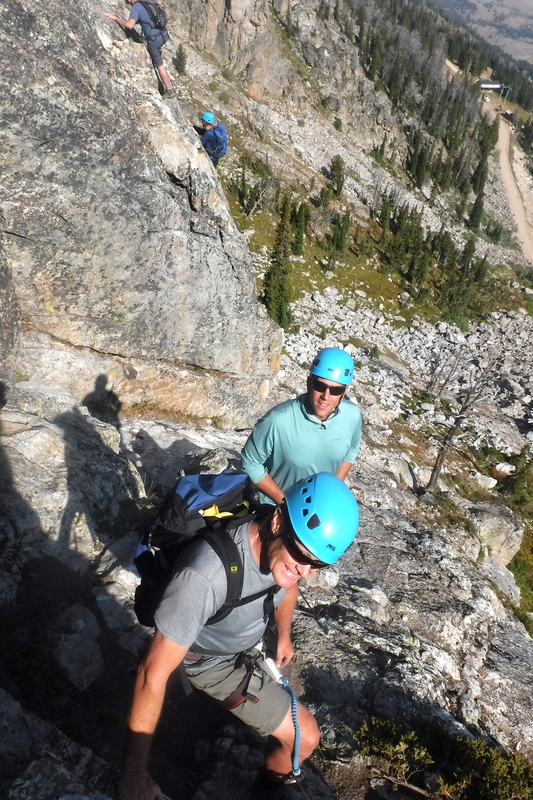 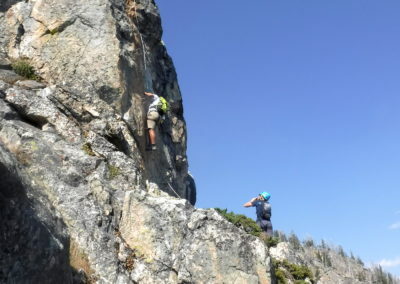 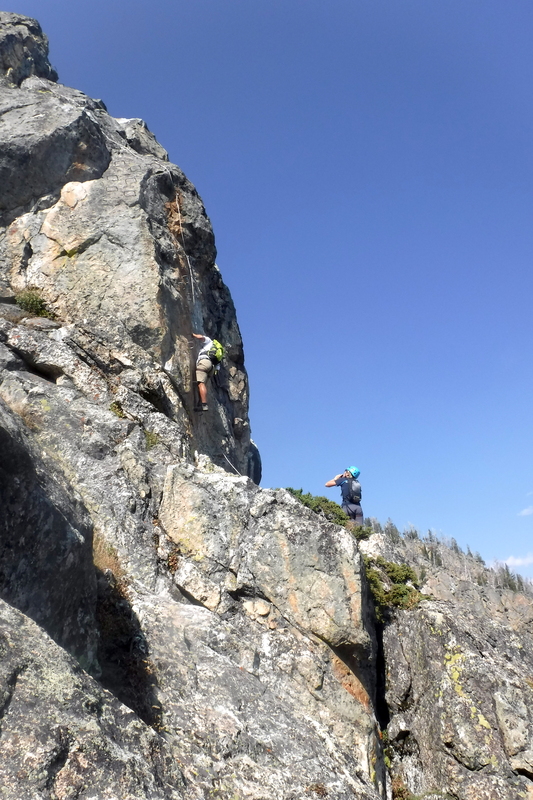 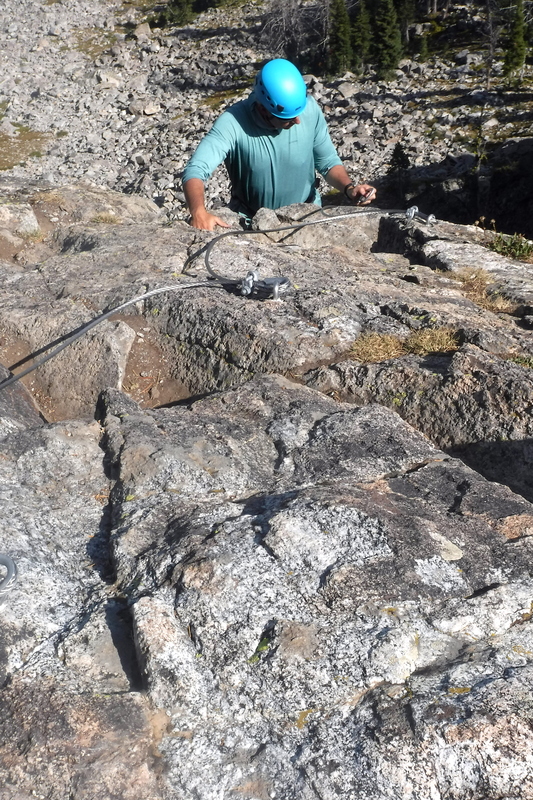 Six vets showed up ready take on the ‘iron way’ or via ferrata in the high-altitude setting above the JHMR gondola. 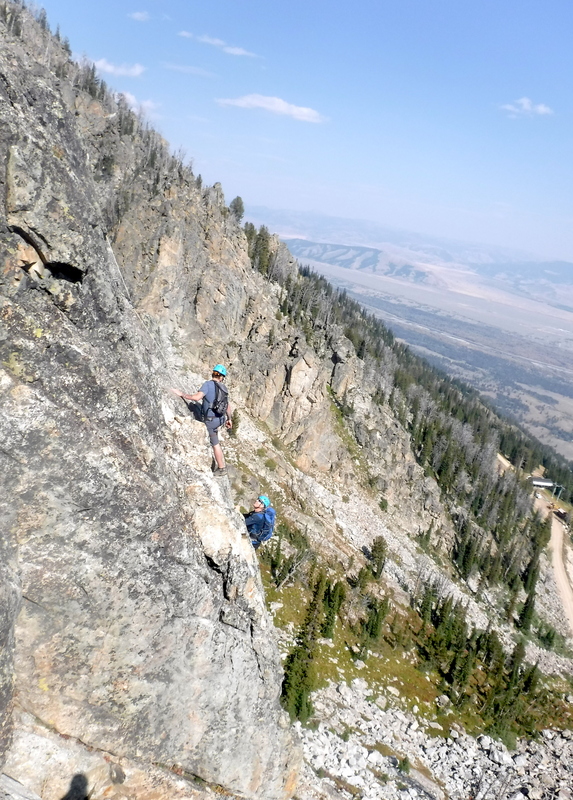 Some were ready for the exposed climbing while some were facing their fears straight on in the company of new-found friends. 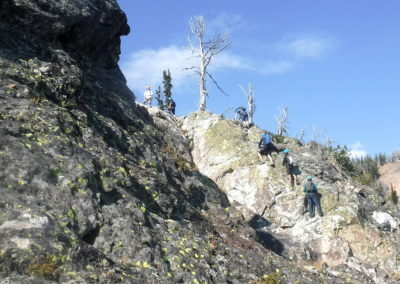 The veterans included Chris Reynoso, Steven Temple, Nathan Wescott, Jeffrey Kloppenburg, Todd Hanna and Nichole Cox. 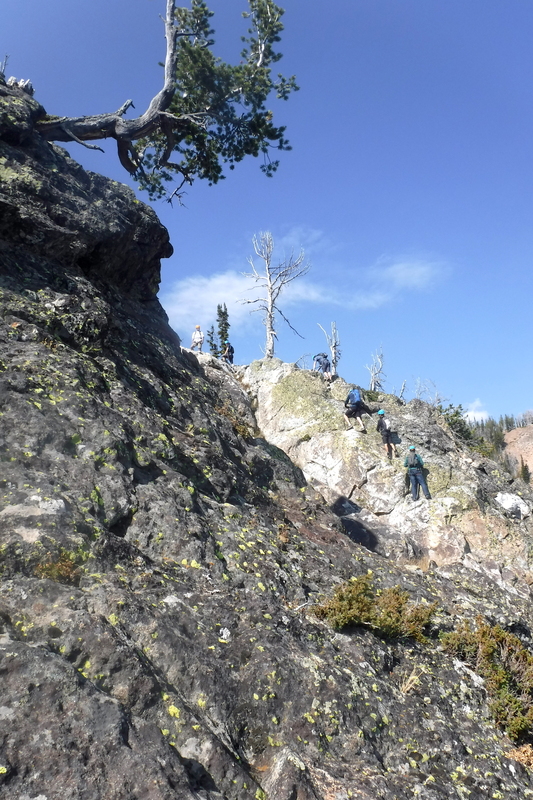 These pictures were taken by JHMR lead guide Shannon Schiner, who was helped by JHMR guide Mash Alexander and TAS adaptive instructor Jason Malczyk. 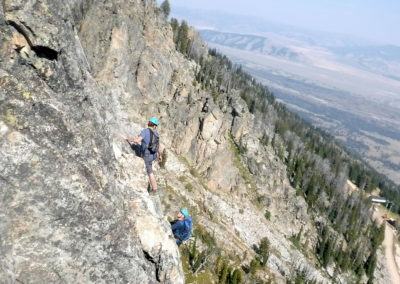 Please read an in-depth account of the afternoon’s adventure by Tom Hallberg at the Jackson Hole News&Guide here.